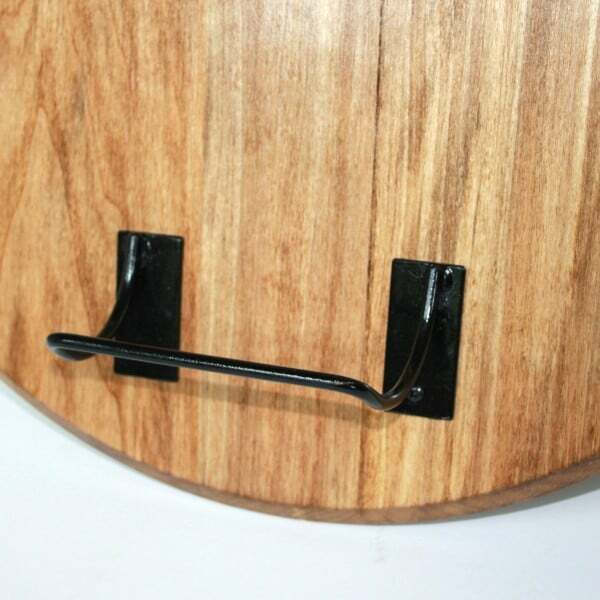 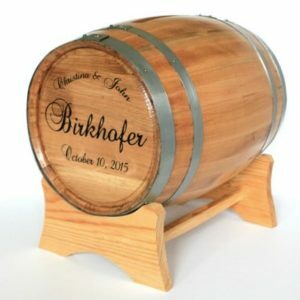 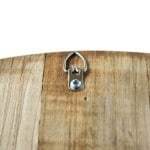 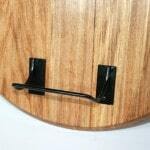 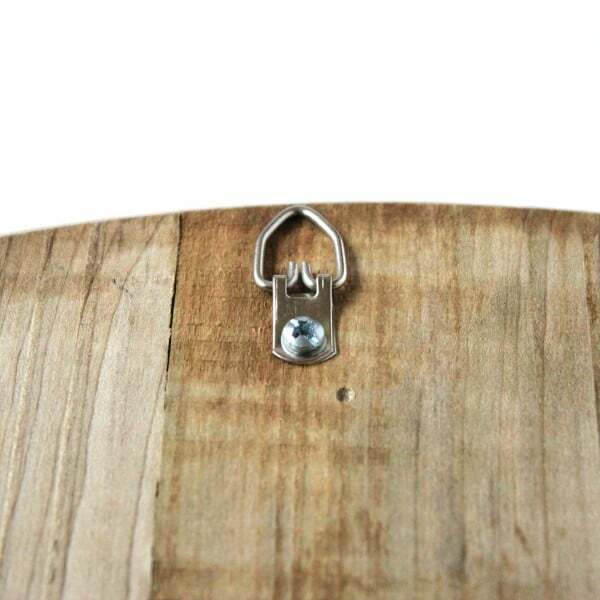 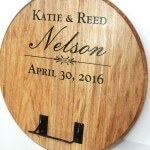 Display a bottle of wine from your wedding day on this beautiful barrel head holder. 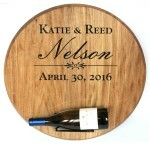 We’ll engrave with your first names, last name and wedding date for no extra charge. Display a bottle of wine from your wedding day on our circular Personalized Barrel Head Wedding Wine Bottle Holder. 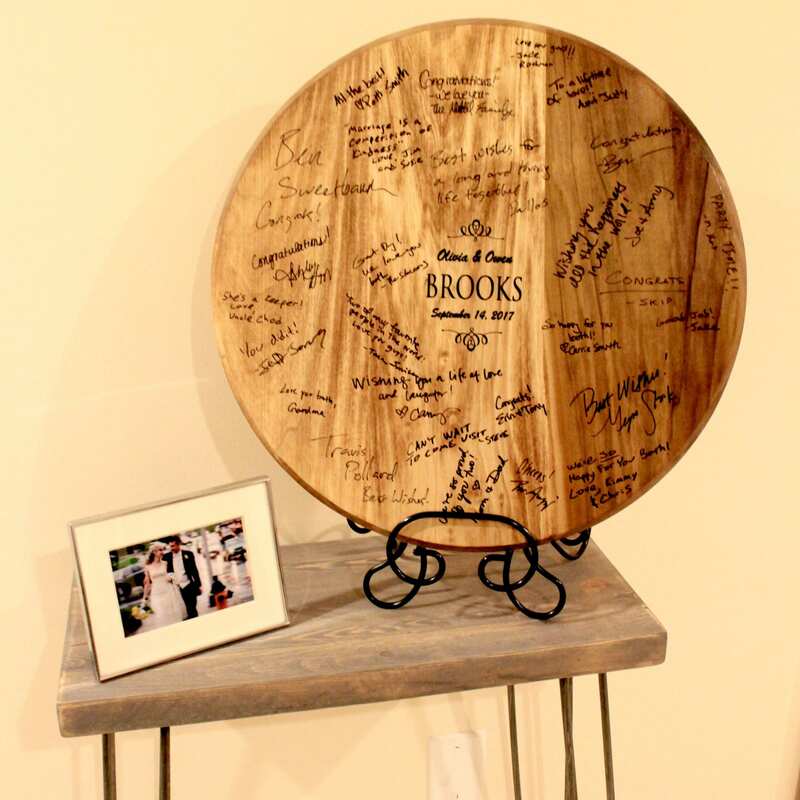 You can also set it up near the entrance to your reception and have your guests sign their names and well wishes. 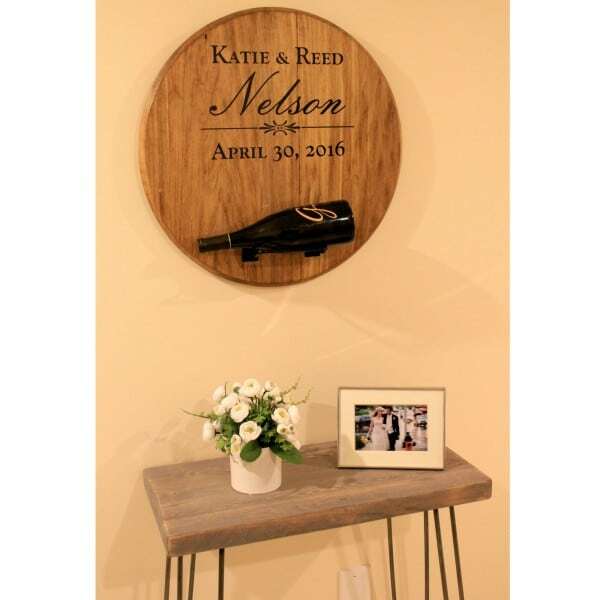 It’s a great piece to showcase at your own wedding or give as a gift to a wine-loving couple getting married at a winery or brewery. 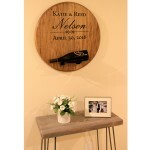 After the wedding, it can proudly be hung in their home with a favorite bottle on display to drink on their anniversary. 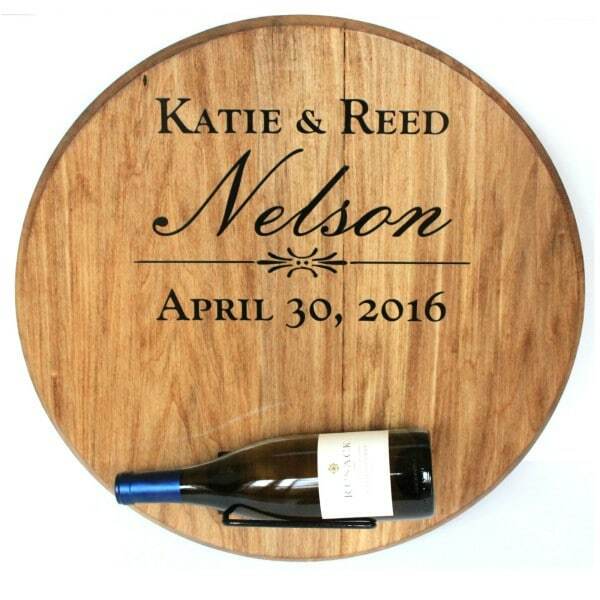 The sign is handmade here in the US with the utmost care so you’ll have nothing less than perfection on the big day.